Knoxville National Cemetery, located one mile northwest of downtown Knoxville, Tennessee, is notable for its layout, which features headstones arranged in concentric circles around a central flagpole. The cemetery is also the home of the distinctive Union Soldiers’ Monument that towers over the landscape. The cemetery is the final resting place for more than 8,000 veterans of the Civil War, the Spanish-American War, World War I, World War II, Korea, and Vietnam. Eastern Tennessee was recognized as strategically important to both the Union and the Confederacy owing to its transportation linkages. Control of the area would also mean control of the railroads from Virginia to the Mississippi River. By September 1863, Union troops led by Major General Ambrose Burnside and Colonel William P. Sanders occupied Knoxville, but the Confederate army continued to press toward the city. Confederate General James Longstreet’s plan was to move into Union occupied territory to set up a defensive position, hoping to draw Union troops into the open where he could begin his attack. Confederate forces surrounded Knoxville on November 17, but Union troops held their positions, beginning a 17-day siege. On November 29, Longstreet attempted a strike at Fort Sanders, on the perimeter of Knoxville’s defenses, but a decisive Union victory drove off the Confederate advance. Longstreet continued the siege until December 4, when he withdrew his men, leaving Knoxville under Union control for the remainder of the war. After the siege, Burnside established the cemetery, reinterring remains from around Knoxville, and other places in Tennessee, Kentucky, Virginia, and North Carolina. Captain E. B. Chamberlain designed the circular layout, and his careful, meticulous identification of the burial sites ensured that the cemetery could “be converted into a national cemetery without material alteration or change, or removal of a single body.” The cemetery initially closed to new interments in 1973. However, in 1985 the cemetery was reopened with the pathways between burial sections used for graves. These spaces were filled by 1990, and the cemetery closed permanently. The site’s northeast property line, located on Tyson Street, features the main entrance to the cemetery with its wrought iron gates. The cemetery’s historic stone wall erected in 1875 along the northwest, southwest, and southeast boundaries remains. No superintendent’s lodge is on the cemetery grounds. The first lodge, built in 1868, was replaced in 1907 with a new lodge that was subsequently removed in 1993. A utility building from 1936 now serves as the administrative office for the cemetery. Adjacent to the national cemetery is the Old Gray Cemetery, the first Victorian-era cemetery in Knoxville designed with curving avenues and carefully landscaped grounds. 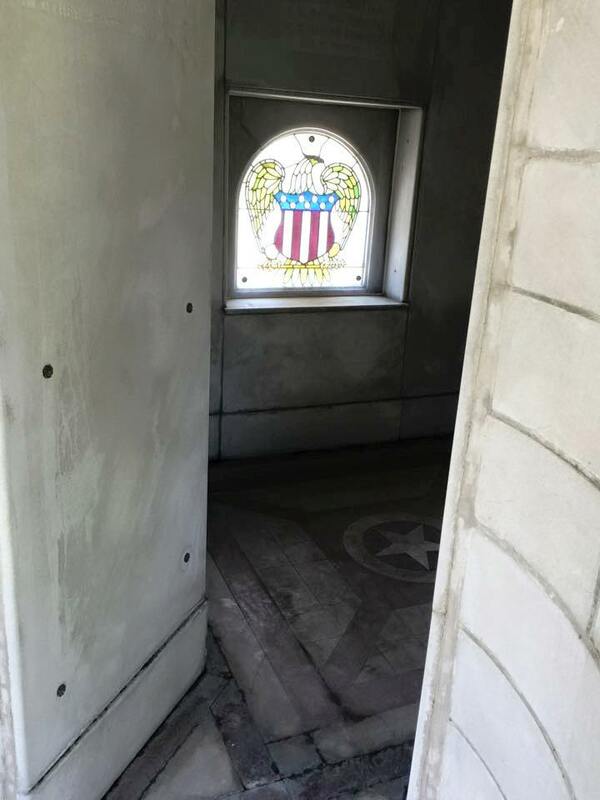 The Old Gray Cemetery, named in honor of Thomas Gray, author of the famous poem, “Elegy Written in a Country Church Yard,” opened in 1852, and is the final resting place for nearly 5,700 veterans, including many Confederate soldiers. 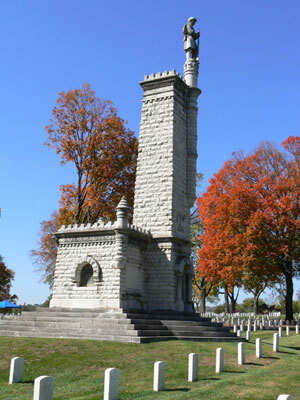 The most significant monument at the cemetery is the Union Soldiers’ Monument, also referred to as the Wilder Monument, at the east corner of the grounds. The Grand Army of the Republic, Department of Tennessee, erected the memorial to honor the state’s Union soldiers, raising over $11,000 through the contributions of more than 7,000 individual donors. The monument, which stands 60 feet tall, is a castle-like structure consisting of a crenulated stone tower attached to a memorial chamber. The chamber interior is accessed through ornate iron gates on two sides of the tower. The chamber features a stained glass window. 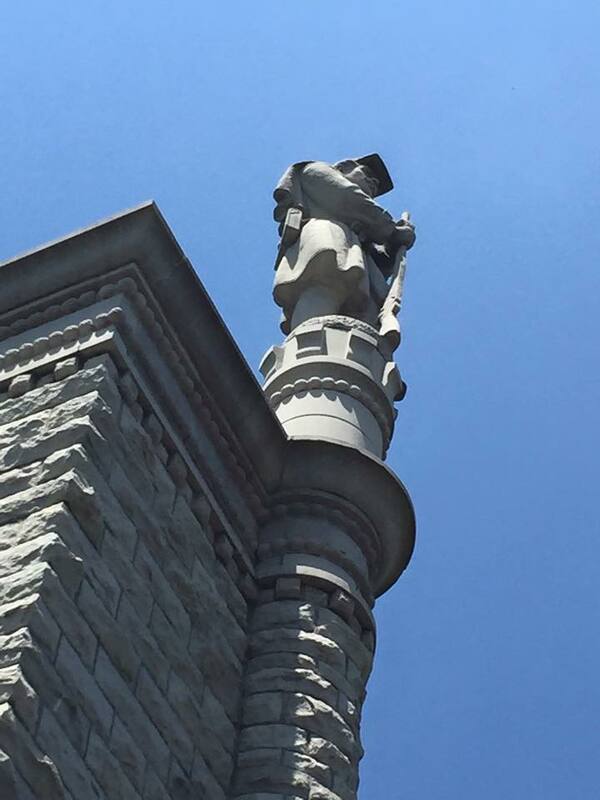 Surmounting the tower is a statue of a soldier at parade rest. The monument was dedicated in 1901, but was destroyed by lightning in 1904. It was rebuilt and rededicated in 1906. 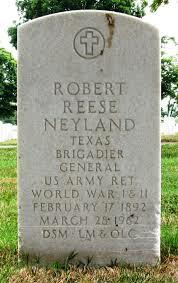 Brigadier General Robert Reese Neyland, a West Point graduate who later became an ROTC instructor and football coach at the University of Tennessee, was recalled into service during World War II, becoming one of the highest ranking officers in the China-Burma-India field of operations. General Neyland and his wife are interred in Section X, Grave 16A. One Confederate soldier, Captain George M. Coleman of the 9th Kentucky Regiment, is buried in Section D, Grave 2538.